The NEW ZOTAC Ruggedized PICO doubles the viewing capacity with more power in one of the smallest form factors. Prepare for durable performance in a package small enough to slide into your pocket, making it nimble for easy placement. 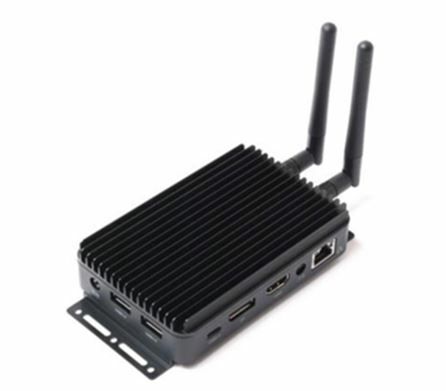 Has multiple connectivity options USB 3.0, WiFi Dual Antenna, Bluetooth and Gigabit Ethernet. Designed for silent performance, we’ve equipped an even more powerful processor and fanless cooling solution while maintaining no moving parts! HDMI and DisplayPort outputs available, enabling dual display capability. Imaged to your specifications, it’s ready to hit the ground running out of the box. A perfect solution for Digital Signage, Kiosk, POS and many other IoT applications!